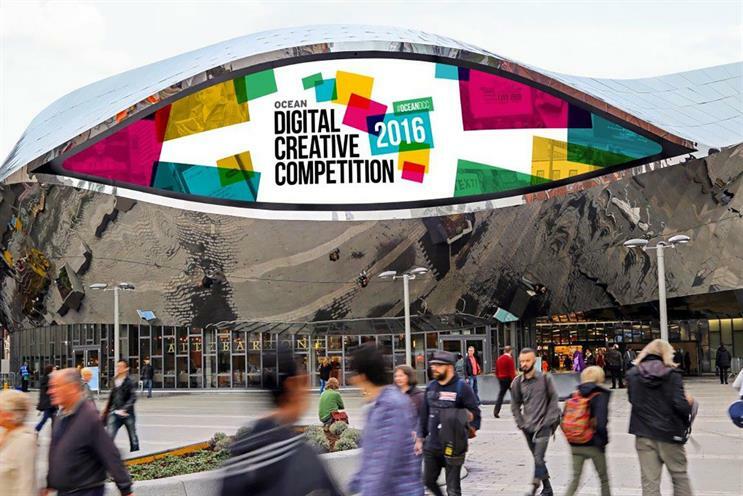 The digital creative competition run by digital out-of-home specialist Ocean and Campaign opens this week, with entries from across the globe eligible for the first time. This is the seventh year of the contest which judges digital out-of-home ad concepts yet to be made. Ocean helps realise the winning ads and showcases them on their networks in the UK - and this year, in Hong Kong and New York. Previous winners include WCRS' "Look at me" ad for Womens Aid and MicroLoans' "Pennies for Life" by DLKW Lowe (now Mullen Lowe), which both went on to win Cannes Gold Lions. The free-to-enter competition is open until August 26. There are two categories: the best interactive digital out-of-home concept and the best creative technique. Finalists' work will be judged by two panels of industry experts and winners will be revealed at an awards ceremony at the Imax in London on October 13. In each category, first prize is £100,000 in media space, second prize is £75,000 and third prize is £50,000. "Previous winning campaigns have generated global PR and collected distinguished awards including Cannes Gold Lions - the ultimate prize and an indicator of how much this competition defines the brilliant capability of DOOH," said the Ocean chief executive Tim Bleakley. "In 2016, we are celebrating the seventh anniversary of a competition that has educated and helped deliver the success story of digital out of home so far." • Top Shop and Twitter who presented catwalk trends live as they happened from London Fashion Week? • NHS Blood & Transplant used augmented reality to show the transformational power of life-saving blood donations? • A live broadcast from the Caribbean which was powered by British Airways six years ago? • A digital billboard which was powered using human energy and Pavegen technology to promote the Toyota Hybrid? • Pigs being fed apples on a farm in Buckinghamshire, in real-time, via your mobile phone from Westfield, London?